A farmhouse is built that now houses Table & Tap. 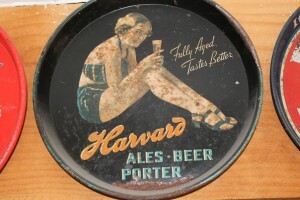 Harvard Lager, later adopted as a Rapscallion recipe, is first brewed in Lowell. 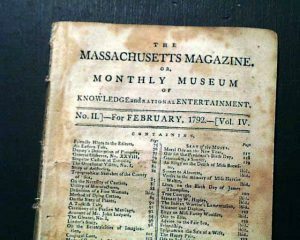 It is the oldest beer recipe in Massachusetts. 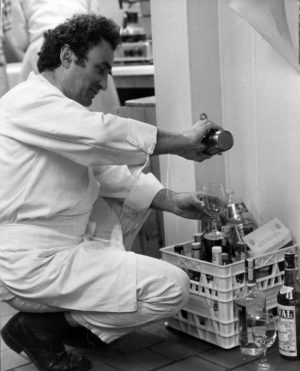 Claude Miquel, later the father-in-law of Rapscallion co-proprietor Peter Daniel, purchases the property and opens Chez Claude, a French restaurant. 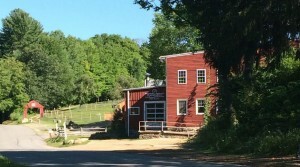 Concord Brewery is founded in West Concord, just miles away from the restaurant on the banks of the Nashoba brook. 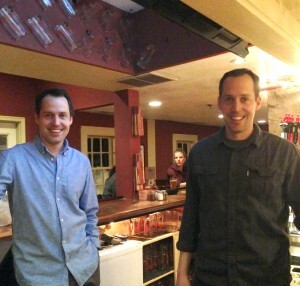 Twin brothers Peter and Cedric Daniel purchase Concord Brewery, then located in Lowell, MA, adopting Rapscallion as its name. They move to Paper City Brewing in Holyoke and launch production of Rapscallion Honey, the ale which becomes their flagship beer. Rapscallion takes over the lease and operation, making Sturbridge its first brick and mortar home. Peter and Cedric open Rapscallion Table & Tap, carrying on a family tradition of hospitality along with brewing and sharing a century of beer recipes. Rapscallion assumes management of the disc golf course on the grounds in partnership with Green Light Disc Golf, designing a new 18 hole course. 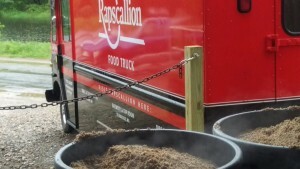 Rapscallion adds a food truck as a fixture at the brewery, running Friday through Sunday. Brewer Jonas Noble is promoted to Head Brewer, running and managing all aspects of the brewing operation. Rapscallion opens a second restaurant in Concord, MA. Kitchen & Bar focuses on seafood paired with Belgian-inspired beers. An Old English word meaning "a playfully mischievous individual," we adopted the name Rapscallion from a special line of beers within Concord Brewery's portfolio when we became its fourth ownership group in 2007. As two young brothers from humble beginnings and a long line of small business owners, the name appealed to us for its history, its uniqueness and most of all its association with rebelliousness. We've always cheered for the underdog, the self-made man and the Robin Hoods of the world, because we believe in living with humility, working hard, and giving back. 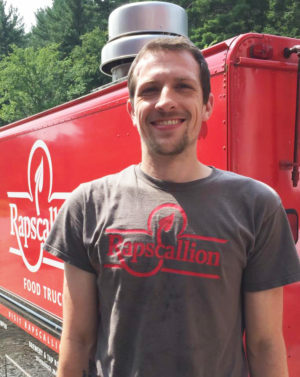 Nearly a decade later, the name "Rapscallion" continues to hold true as a moniker of a model which is defiantly small: Rapscallion is a MA-only microbrewery that puts freshness, quality and consistency above all else, honoring the craft, the Rapscallion customer and the communities we call home. Decidedly local, we believe that beer should reflect the uniqueness of its region and native ingredients, which is why we partner with local farms for our hops and the honey in our flagship beer. Similarly, at our restaurants we strive to serve the freshest food made with local ingredients. From fresh locally caught seafood to farm fresh produce, we take pride in supporting local farms and small purveyors and let the results speak for themselves. 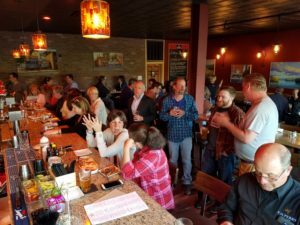 Likewise, both our tap room and restaurants are places to mix with the locals, so it's no surprise that both locations are likened to publick houses of the past. In an industry and broader market that continue to grow at a head-spinning rate, we will remain defiantly small, committing ourselves to our local community and leaving room for others to prosper in theirs. Proudly housed in locations with rich histories, we aim to sustain a tradition of hard work as we add our story to the timeline. Our team is present and hands-on. Our head brewer sees every batch through from start to finish. At our restaurants, our chefs are assisted by a small, hand-picked team in preparing each dish. As owners, we are present every day, greeting customers and guiding our crew. If we are not there when you visit, you will likely find us out in the community, connecting with other small business owners, pouring our beer at a charitable event or stealing some time with our families. Jonas leads all aspects of brewing, packaging and cellaring as well as assisting with the daily operations of the tap room. 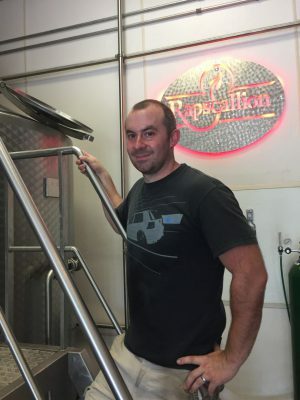 A native of the area who first learned cider making on the Orchard and then brewing under Rapscallion, Jonas brings extensive mechanical knowledge and skill to our operation. 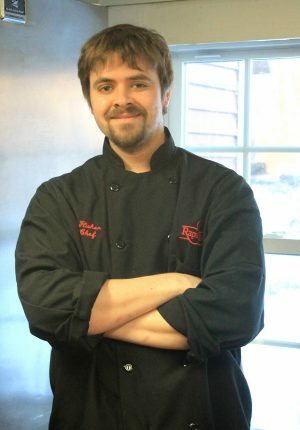 After graduating from the Cambridge School of Culinary Arts in 2007, Ryan worked for three years at Hotel Indigo's BOKX 109 as Chef de Tournant and later as Sous Chef at Red Raven Gastropub in Acton, joining the Table & Tap team as Sous Chef in 2017 and subsequently being promoted to Chef. He loves the creativity involved in cooking, particularly in presenting food that is both flavorful and healthy. Originally from Holden, MA and returning to the area after a few years on the West Coast, Andy joins brother-in-law Jonas, head brewer, in supporting the brewing operation in addition to manning the truck. A locavore inspired by the freshness of West Coast food, Andy hopes to fuse these two elements in his cooking. With small family business roots in Canada and Vermont, twin brothers Cedric and Peter naturally fell into the same in their twenties after working entry-level jobs in the Boston area. In 2004, they started Boston Barrel & Tap, a draft beverage service business which is still in operation today. Working nights and weekends on top of their day jobs, they eventually started working with a few small breweries in Eastern MA, including Concord Brewery, then based in Lowell, MA and under its third ownership group at the time. When an opportunity arose, the brothers became the fourth owners, seizing an opportunity to continue in small business and sustain an established and respected portfolio of recipes, eventually expanding it to include new beers. 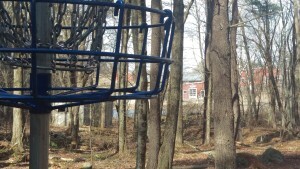 Green Light Disc Golf founders Shaun and Erin LaForce have been on the scene since the mid-2000s, starting at one of the premier courses in the Northeast – Maple Hill. After years of playing and developing friendships in the greater disc golf community, they decided to start their own company, looking to balance their love of the sport with work and other responsibilities. Through Green Light, the LaForces promote and grow the sport by organizing tournaments and league play and operating a pro shop located at Hole 1 on the Rapscallion course. 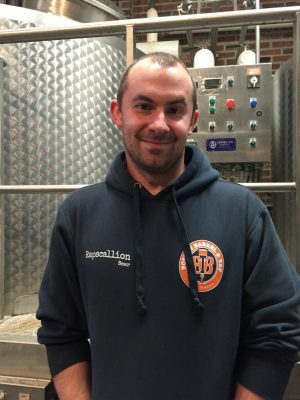 Local to Central MA, they connected with Rapscallion to redesign and operate a new 18 hole course on the brewery grounds in 2016. Ever present and hands-on, they are constantly working to maintain and improve the course with the help of a loyal and growing group of volunteers. As part of our commitment to our local community, we focus our giving on the towns closely surrounding our three locations. We are proud to contribute to the charitable efforts of a variety of local causes, and happily report that we gave close to $16,000 in monetary and in-kind sponsorships in 2018. Are you a nonprofit based in Acton, Boxborough, Littleton, Concord, Carlisle, Sturbridge, Southbridge, Brimfield or one of the Brookfields who is seeking a donation for an upcoming fundraiser? 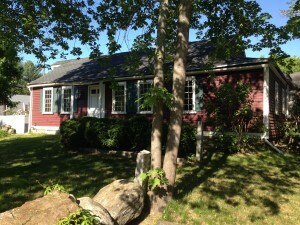 Contact Christina for Sturbridge area inquiries or Peter for Acton and Concord area inquiries. Receive a monthly update on new beers, restaurants specials and upcoming events!